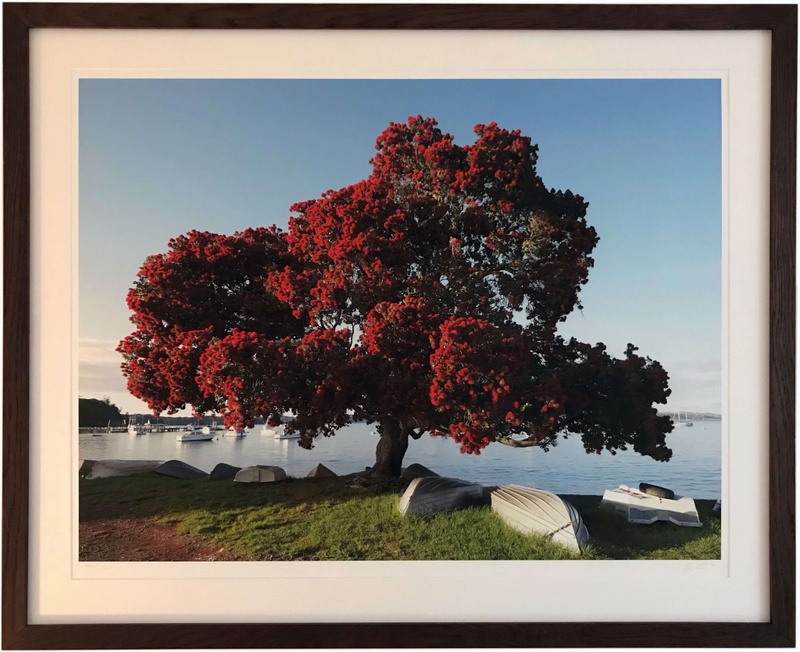 Our customer Kieran, wanted this image of a New Zealand pohutukawa tree (otherwise known as a New Zealand Christmas Tree, see below for the Wikipedia definition) framed with a stained wood frame that matched the rich colour and grain of this beautiful tree. 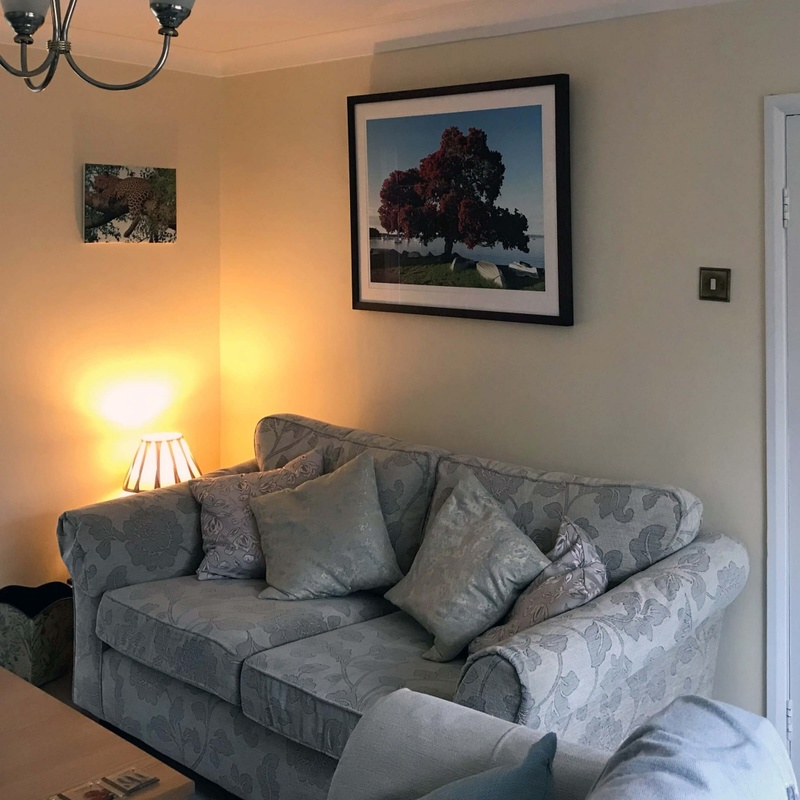 The wood from this tree is not available for picture framing, so Nadim used a bare wood (un-waxed) oak moulding for the grain and then applied 2 separate stains – 1 x coat teak stain and 1 x coat brown/mahogany stain. The customer wisely chose an anti-reflective water-white glass so that the details of the image can be clearly seen without reflections. Metrosideros excelsa, with common names pōhutukawa, New Zealand pohutukawa, New Zealand Christmas tree, New Zealand Christmas bush, and iron tree, is a coastal evergreen tree in the myrtle family, Myrtaceae, that produces a brilliant display of red (or occasionally orange, yellow or white) flowers made up of a mass of stamens. The pōhutukawa is one of twelve Metrosideros species endemic to New Zealand. Renowned for its vibrant colour and its ability to survive even perched on rocky, precarious cliffs, it has found an important place in New Zealand culture for its strength and beauty and is regarded as a chiefly tree (rākau rangatira) by Māori. The blossom of the tree is called kahika.